Faux fur, that's only worn by the female of the species, right? Wrong. Recently, we've noticed more and more men, including ASAP Rocky and Tinie Tempah, are wearing fluffier pieces of outerwear. But they haven't been raiding the women's department for these pieces. In fact, the men's section is turning out some highly covetable faux-fur pieces right now, and it's where we should all be looking. 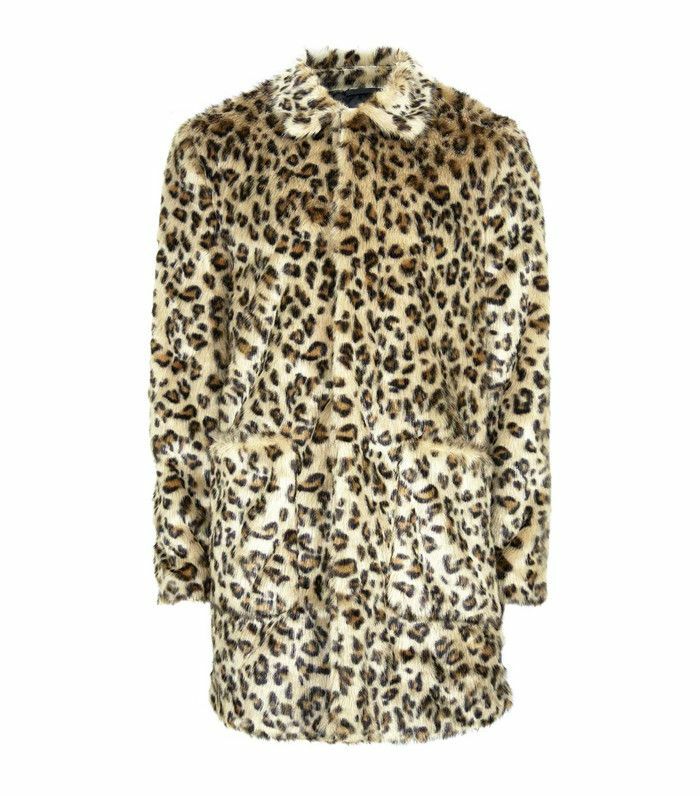 From Topman's leopard-print version to the more pricey, but equally as incredible, Saint Laurent double-breasted faux-fur jacket, there's plenty to choose from. Yes, it will be slightly oversize, but that's the look you want to go for with this. Plus, it'll mean you can layer all your warm clothes underneath. Not to mention it will always give your whole outfit a touch of glamour, even if you're wearing beat-up sneakers. Keep scrolling to shop our favourite men's faux-fur coats and jackets right now. Wear this with your Converse and skinny jeans. An elegant take on the faux-fur coat. This one looks super cosy but chic too. Next up! 16 new fashion brands to name-drop in 2017.